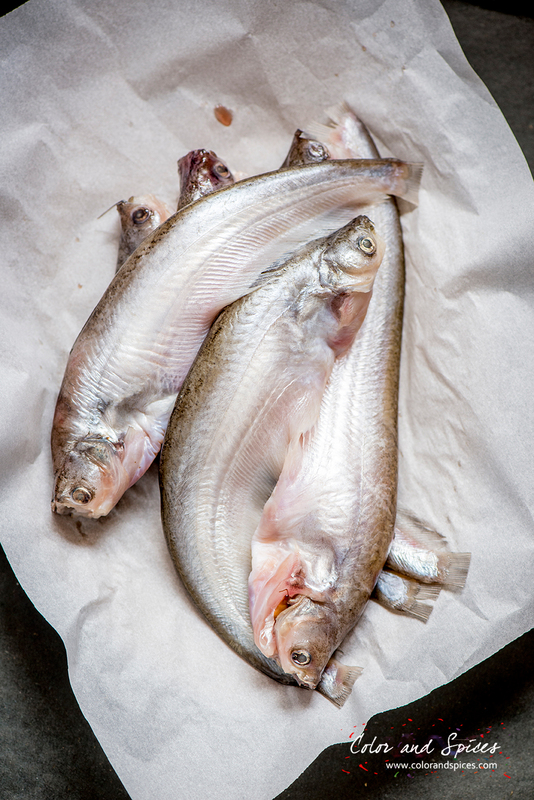 Fishes are an integral part of the daily diet of people of Bengal. The geographical attributes of Bengal is the reason behind fish being the part of the cuisine. Being a state with many rivers running through it, multiple fresh water ponds and lakes along with a long coastal region, fishes are available in abundance. So from ages we Bengalis' are eating various kind of fishes and now it's a part of tradition and most of us can't think about a meal without fish. 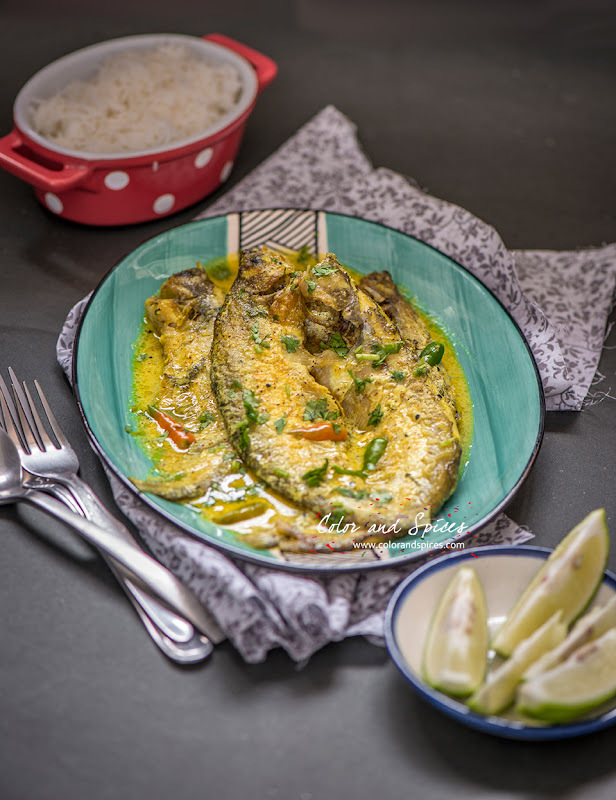 Today I'm sharing a quintessential Bengali dish and an all time favorite in my family, Sorse bata diye pabda mach, which translates to Pabda fish in mustard sauce. Pabda is a fresh water cat fish. This pink bellied Indian butter fish is very tasty. 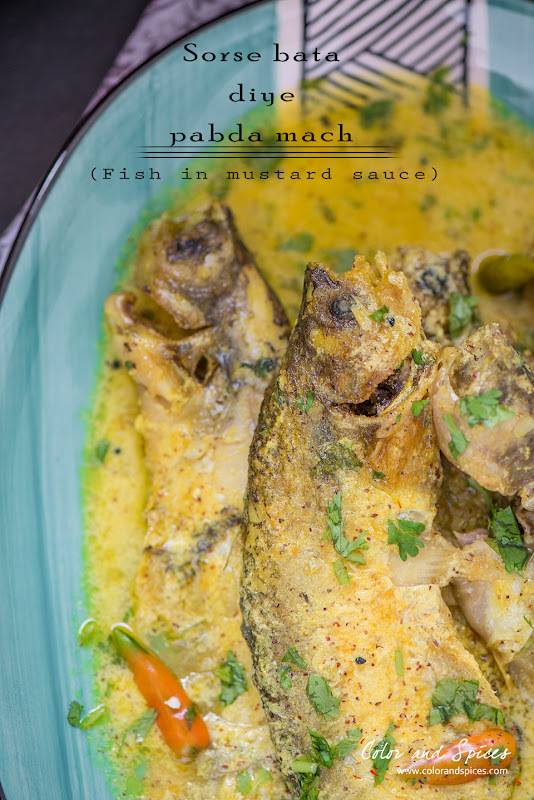 Bengalis prefer sweet fresh water fishes over sea fishes, and pabda fits the category. It's soft, delicious and sweet. 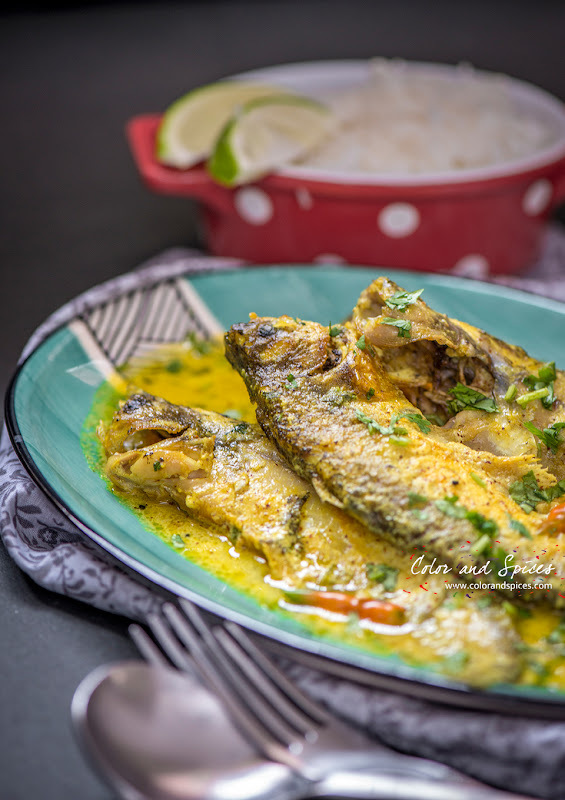 This particular fish can be cooked in various different ways, but I prefer it with mustard sauce. Equal amount of white and black mustard are ground to a smooth paste along with green chilies. 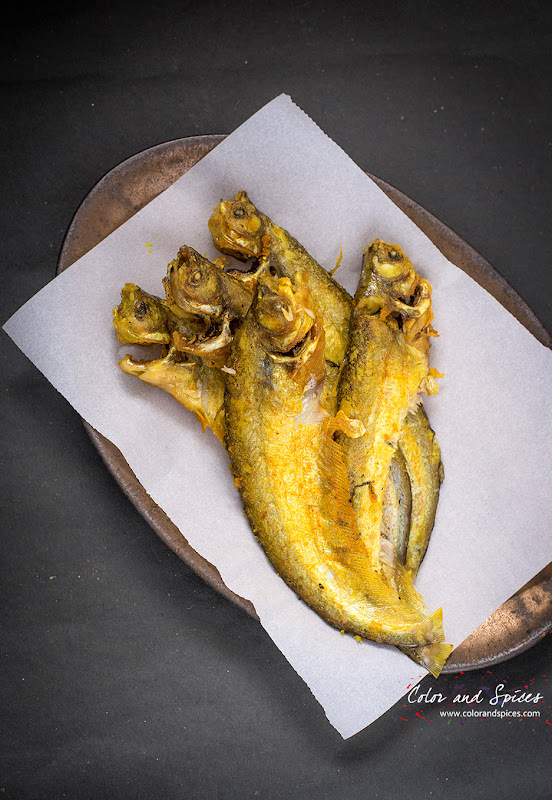 The fishes are fried and further cooked in the mustard paste. Any other fish, like rohu, bhetki, salmon, cod etc can be use instead of pabda. 1. Clean and wash the fish. Pat dry. Smear salt and turmeric and marinate for 15-20 min. 2. 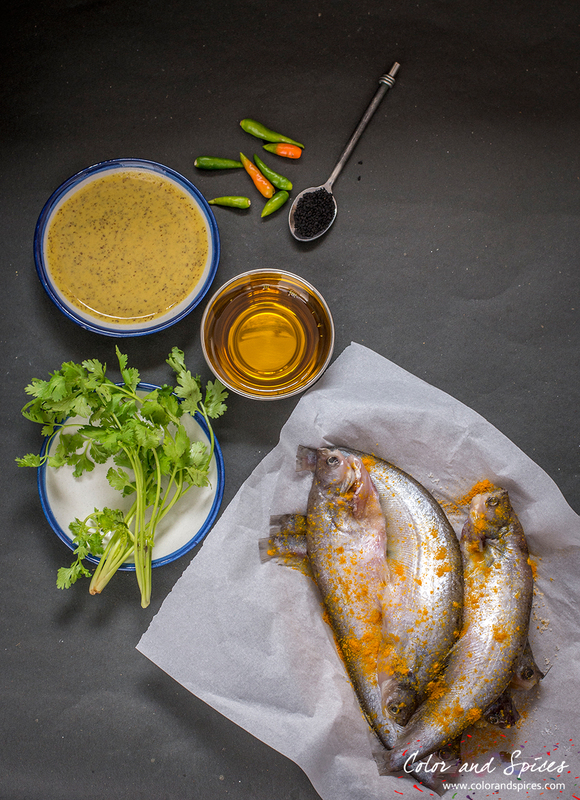 In a pan heat mustard oil, when the oil is hot fry the fishes till golden. Take out the fried fishes and keep aside. Fry one of two fish at a time. 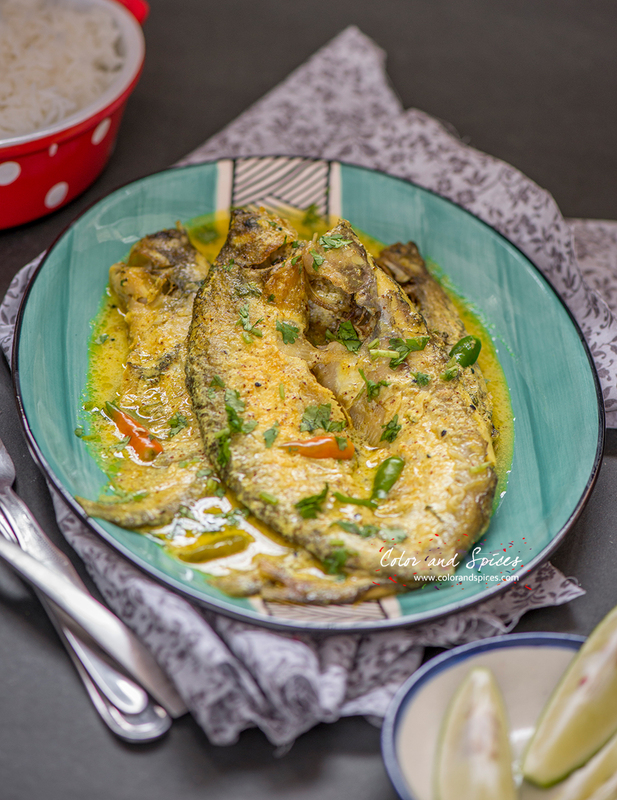 If you are using pabda, make sure the oil is smoking hot or else the fish will stuck to the pan, and use a cover while frying pabda fish as it tends to splutter. 3. To make the mustard paste, take equal amount of yellow and black mustard seeds. Soak the mustard seeds for 30 min in cold water, wash well and strain. Grind the soaked seeds with a pinch of salt and green chilies, add little water as needed, make a smooth paste. 4. In the same pan add oil if needed, add kalojire (black seed) and green chilies. Add the mustard paste, turmeric powder, red chili powder (optional) and little water, mix well and cook over low heat for 2 min. Add the fired fishes, warm water (half cup), salt, chopped fresh coriander, cover and cook for 5 min. Turn the fishes and cook for another 3-4 min. Transfer to a serving bowl or plate, drizzle some raw mustard oil and garnish with green chilies and chopped coriander. Serve hot with steamed rice.